A few weeks back, I set off on the 8.35am train from London's Waterloo to Poole. As the couple in business attire sitting near me snogged (far too early for that kind of carry on) I sipped my coffee and watched the countryside fly by. I really wasn't sure what the day was going to hold, but I knew it was going to be all sorts of special. At Poole, I met a friendly bunch of creative ladies at the station and we were whisked 20 minutes down the road to Wimborne Minster, Dorset where Deans Court is found just off the main shopping area. 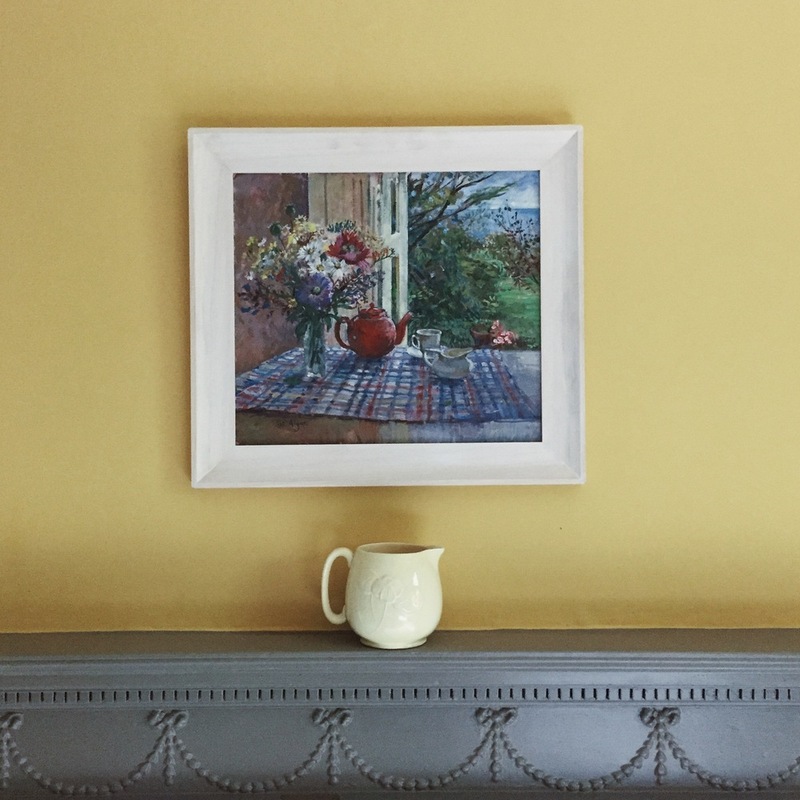 The small estate and historic house today has organic kitchen gardens, bee hives, a vintage lifestyle shop in an old squash court, a café and much more. You can get married in the grounds and the estate even has its own in-house florist (erm, dream job), my instagram and blogger friend, Kelly-Marie. 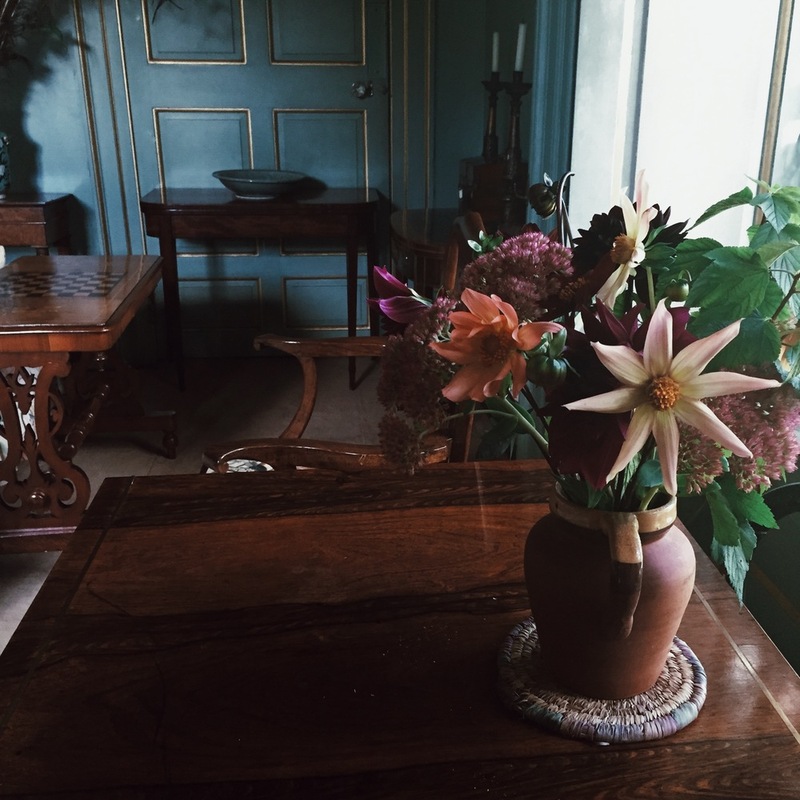 After being welcomed by our hosts, William, Ali and Lottie, into a grand old room with a roaring fire, we set about exploring the grounds and learning more about the property. 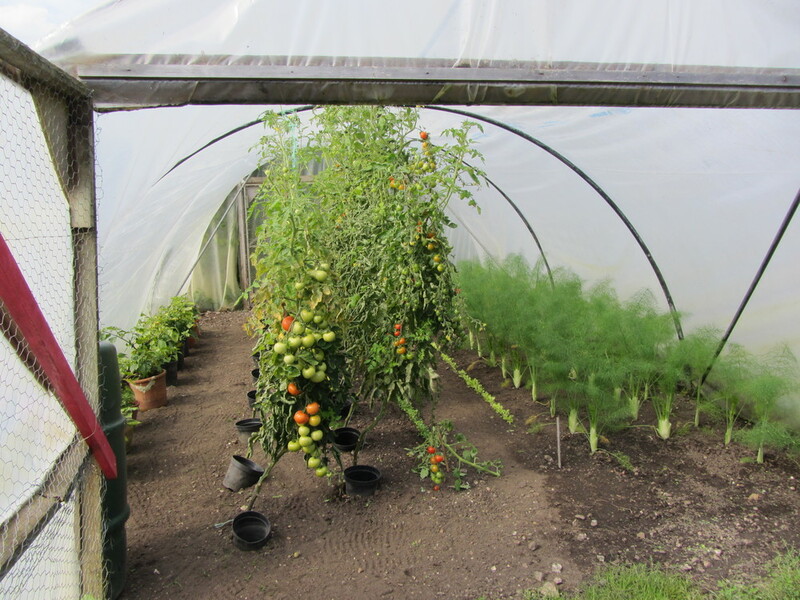 The walled kitchen garden is a thing of beauty. I can only dream of having one like it. The 3/4 acre garden is surrounded on two sides by a long serpentine wall, which is thought to have been built by Napoleonic prisoners of war, circa 1800. 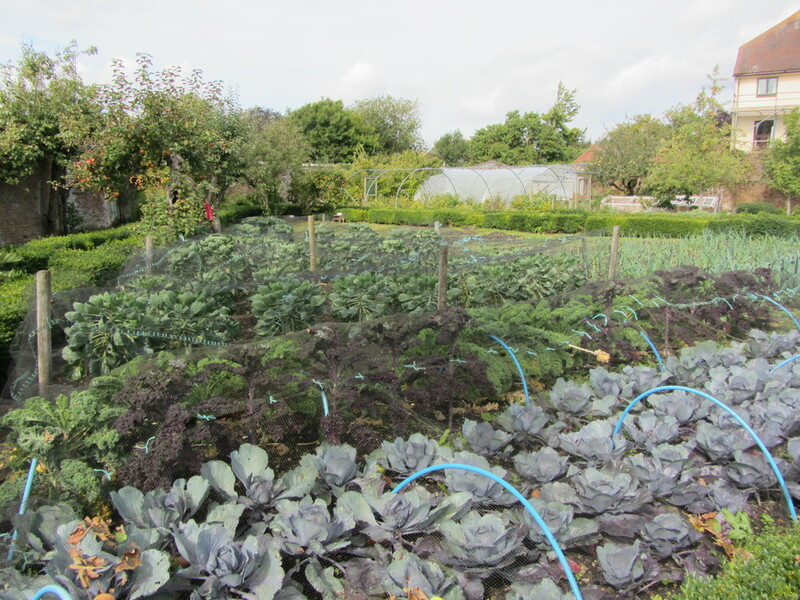 The kitchen garden was the first in the UK to be accredited by the Soil Association and is completely chemical free. Today, there is so much produce that the garden has enough veg for a weekly vegetable box scheme. I only wished I lived locally so I could sign up. The pears grown inside wine bottles? That's how you make delectable pear-flavoured liqueur apparently, perfect for adding to glass of prosecco, a combination I could happily sip all afternoon. I love honey. And I love bees. I know how important their role is to our very existence and love watching them flitting around my garden. I'd never really given too much thought to bee keeping, other than it must be kinda fun. But I do find it pretty unnerving when they buzz too close to my ears by following a traumatic-bee-stuck-in-hair-stung-swollen-hand incident. As long as we can co-exist, I'm happy. 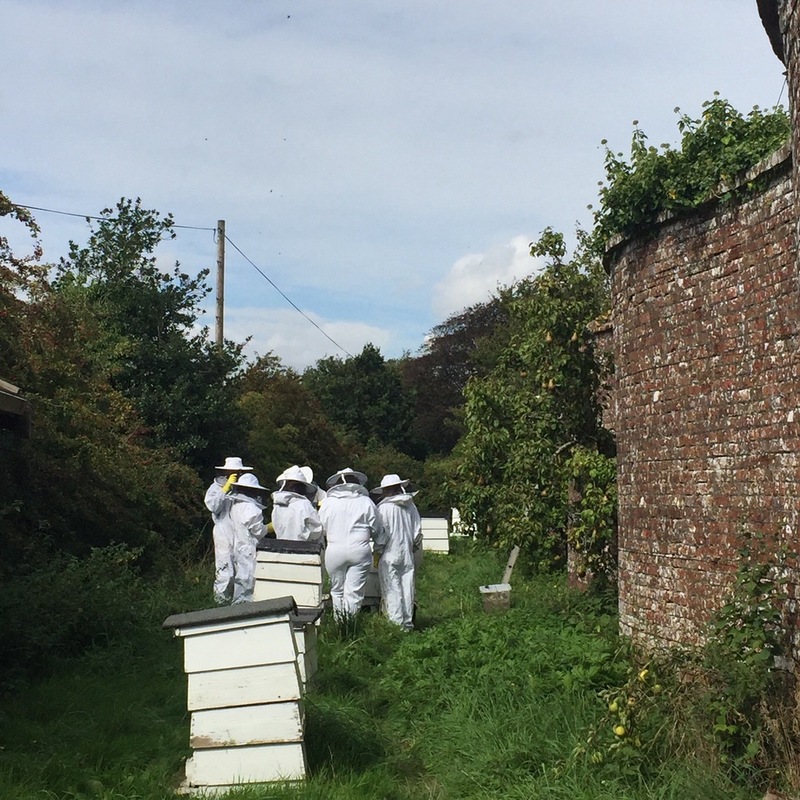 Fears aside, I donned a white suit, one of those weird net hat things and a pair of marigolds, ready to be introduced to the hive residents by the estate's bee keeper. It turned out to be fascinating and not at all worrying while they clambered all over us, sleepy and friendly as we investigated their hive. While we were off gallivanting with the bees and exploring, the lovely ladies from The Linen Works together with clever Kelly-Marie, were clearly having a ball laying out a harvest-themed table in the dining room. Dahlias, love-in-a-mist seed heads, pears, berries and wheat all adorned the long banquet table, along with lovely linen. 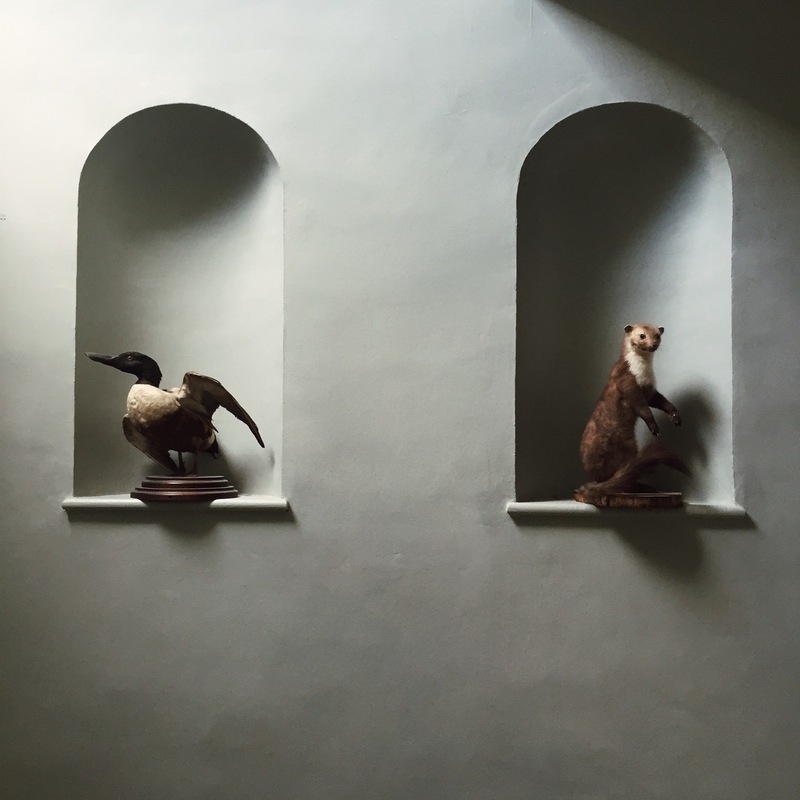 Under the watchful eye of ancestors lining the walls, we sampled salads, savoury tarts, figs and sweet treats, all made using ingredients grown in the estate's gardens while learning more about the property's past. All washed down with prosecco and pear cocktails, of course. The house was originally home to the Abbess of Wimborne, and dates from the C8th, before becoming the Deanery in the C11th. At the Dissolution of the Chantries in 1548 the Manor was granted to John Hanham, whose descendants have lived here ever since. The afternoon was filled with more delights before scurrying back on the train to London, where life has seemed positively grey ever since. As I trek around the tube and look at grey faces in meetings, I remember life at Deans Court. Kelly-Marie filling vintage bottles with scabiosa, roses and delphiniums at a table underneath a huge tree over looking a swan-filled pond. 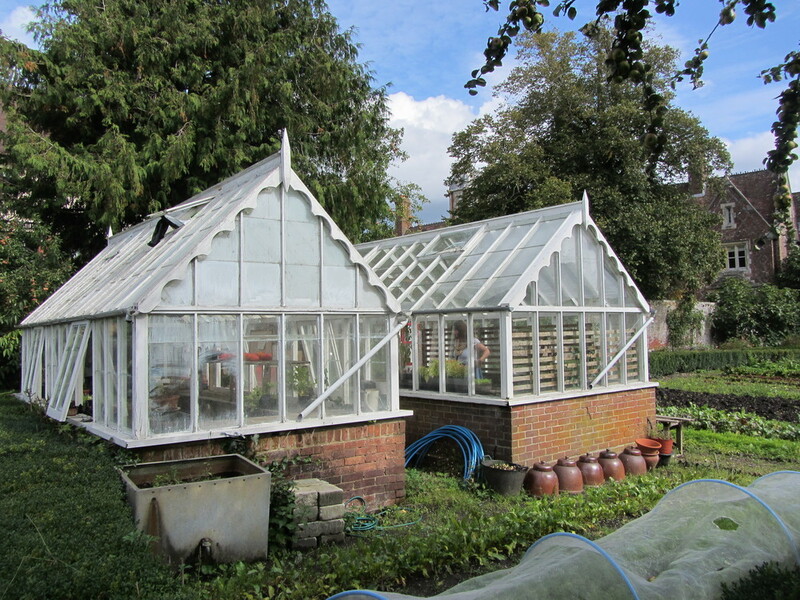 The gardeners planning their next crop and pottering around the greenhouses. Plump, juicy figs making their way into tarts and salads. Pears magically growing inside wine bottles. Old squash courts reinvented as a homeware shop. Ancestors watching wisely from the walls, while William, Ali and Lottie breathe a new lease of life into the ancient estate. Find out more about Deans Court here. *This post is not sponsored but I was invited to spend the day at Deans Court. All opinions and wistful musings are my own.